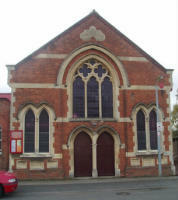 The original building,which is now used as a social room & for community outreach, was opened in 1854. The main church was added in 1911. Although an old building the church has had some ‘modernisation’ inside. A very friendly church, with a strong sense of pastoral care for each other, and a passion for our community. We also hold a variety of events throughout the year, spring and autumn fairs and a flower festival in July. We are a small but very friendly church with a strong sense of pastoral care for each other. We have a passion for our community, revealed in our outreach sessions.